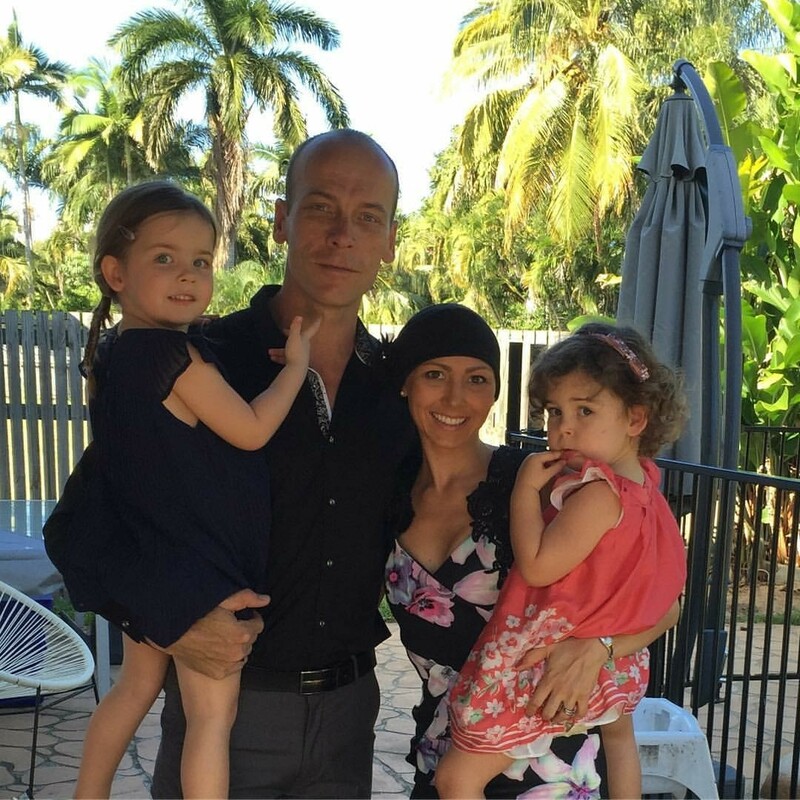 In 2015 at the age of 30 and a mother of two girls, aged 3 and 1, cancer wasn’t even on my radar. I was young, fit and healthy. But I guess what makes our story even more unique. In 2016 I was diagnosed with stage 3 breast cancer and just six days later my husband, Matt (40), was diagnosed with colon cancer. In 2015 Matt started having digestive problems. Around this time, I had just finished breastfeeding and noticed by breast felt a bit lumpy. My doctor sent me for an ultrasound which showed I had fibrocystic changes – but nothing more serious. By the start of 2016, Matt’s digestive problems had progressively gotten worse, to the point where he was going to the toilet around 10 or more times a day. We had tried everything, from medications to diet alterations, and were finally refereed for a colonoscopy. Around the same time, I found a large, hard lump on my breast. When I saw my GP, she sent me for an ultrasound, biopsy and mammogram. Two days later, I got the first call. It came from a surgeon’s office and they wanted to see me that day. Two hours later, I got a call from my doctor’s office and they wanted me to come in straight away. On Thursday, March 10, 2016 I woke up a healthy, 30-year-old wife and mother of two. By 4pm that day, I had cancer, a team of doctors and a vocabulary of medical terms I never wished to know. I was so terrified and convinced that I was going to die. I just kept looking at my little girls, the ones that had looked so grown up to me a few days earlier and now thought they looked like tiny babies that could lose their mum. I was diagnosed with stage III, HER2+ locally advanced breast cancer, with a 72mm aggressive tumour in my right breast. The plan was to have neo-adjuvant chemotherapy, follow by a mastectomy and radiation. The following day, Matt had his colonoscopy. After what we had just been through, there was no way we thought Matt’s tests would show he had cancer. But when the doctor told us he had colon cancer, I refused to believe he was right. This didn’t happen to people – especially not young and healthy people like us. We spent the next few days thinking we were going to lose Matt and once more that unpalatable fear stepped in and clouded our lives. When I began chemotherapy, Matt found a surgeon who was optimistic about this chances for survival. Things were looking up and gave us the positivity we needed to get through this. He was sent for all of the same testing as me and we saw each other between overlapping appointments. Two days later, Matt had his operation and came out of it without needing a stoma bag. He had a 60mm tumour and a large amount of his colon/bowel removed, along with his lymph nodes. Although his cancer had not moved outside of the bowel, 7 of the 29 nearby lymph nodes were affected, meaning he too would require chemotherapy. With both of us having chemotherapy together, it definitely came with its challenges. Some weeks, we would both have chemo together and on the days the girls weren’t in day care, we’d tag team with each other, having naps so we could look after the girls. October 2016 marked seven months since I was diagnosed. Earlier this month I had a right mastectomy with a sentinel node dissection and prophylactic left mastectomy, and have just started radiation. I’m not going to lie, living this has been, and still is, challenging but we will do anything it takes to be here for each other and our daughters. We have an amazing support network and are confident we will beat this! I hope that our story can help raise awareness of the importance of early detection and also encourage others who may be struggling with their diagnosis. Cancer will teach you that you are stronger than you ever knew and you can achieve more than you thought. If I’ve learnt anything from this, it’s this; don’t focus on the negatives, there will be bad days and most of all, love those around you. They will be your strength when you have none and they will lift you back up when you need it. 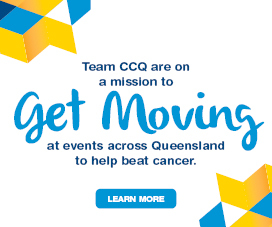 We also reached out to Cancer Council Queensland through this time and found a place of support when we needed it most. We have used the Cancer Counselling Service and taken part in local peer-support exercise classes. 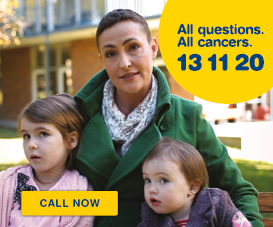 If you have been affected by cancer and need information support, reach out today by calling Cancer Council on 13 11 20. 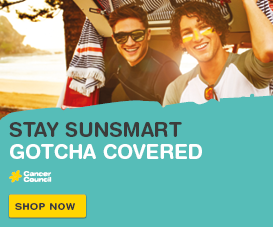 More information about breast cancer and early detection. More information about bowel cancer and early detection.